There is no questioning the success of the Apple iPhone and there is no doubt that GPS navigation systems are popular. The question is, as technology improves and electronics become more addictive and interesting, constantly pulling for your attention, what are the odds that you may take your eye off the road in order to glance at a beeping phone, a talking GPS, a new radio station or any one of the hundreds of new devices that are tugging for your attention. The time between slamming on the breaks, just in time, and a fatal accident that takes away the life of a young child can be measured in seconds. These are not the seconds you want to be distracted. The problem that continues to grow at an alarming rate is the number of drivers that pass by you in oncoming traffic each and every day who are not paying close attention. These numbers can literally be in the thousands. What percentage of people do you see on the phone, talking to a passenger, doing their makeup, eating while driving, or typing in an address on their new GPS? Regardless of the distracted driving law and local enforcement policies, everyone is exposed. Now, more than ever, effective training on defensive driving may mean the difference between life and death. Defensive Driving and distracted driver training can help you, employees, co-workers and even your kids, be more alert for the dangers waiting for you on the road. Online courses like the Effects of Stress on Driving, backing safety training, Winter Driving, and Defensive Driver training can be a great tool and are now available online. 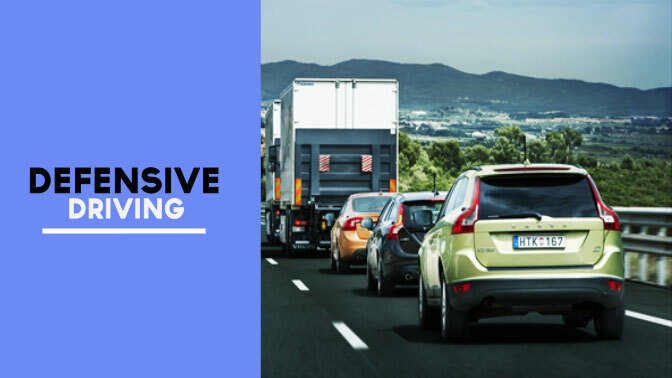 The Canadian Online Safety Training Association (COSTA), in partnership with Thinking Driver, will be offering a course about defensive driving online. This course presents techniques that allow drivers to become more aware of the environment on the roads and how to prevent accidents from occurring. Think about the impact proper training can have on reducing risks of accidents while driving.